Yes, lovely work - I like these cards too sometimes - they are different and this card is just beautiful. Thanks for sharing this beautiful piece with us at Unstampabelles. Oooh, this is really beautiful and I also love that tall, three paneled design. The collection you used is absolutely perfect for the baby cards AND for the challenges. 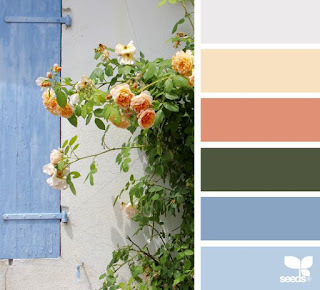 The colors are such a close match to the inspiration challenge on W&W, it could have been designed just for that. Love this one! This is adorable Janis, I love it! Well done! So sweet. I like the tall format. What a gorgeous card!! Thanks for joining us at Cardz TV! Your comment on my blog post did make me laugh. They do say never work with animals or children!!. 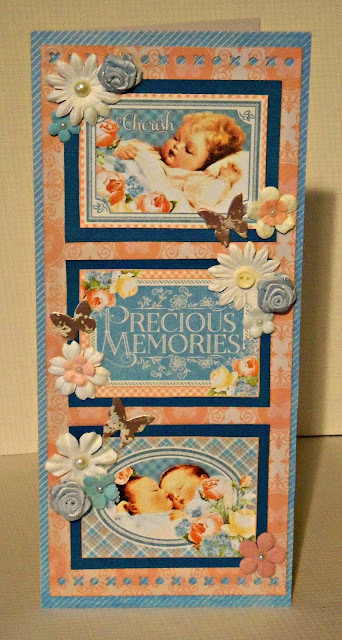 Love the colours on this card and the images are way cute. Hugs Mrs A. The butterflies and flowers are a nice touch! Another lovely card. Thanks for sharing with us again at Unstampabelles.